After 20 wonderful years Native Jackets closed the shop on The Plaza at the end of May. The remaining inventory is being liquidated. If you are interested in investing in a proven business where there is a strong demand and a weak supply, let me know. It can work for another 20 years as well as it worked for the last 20! 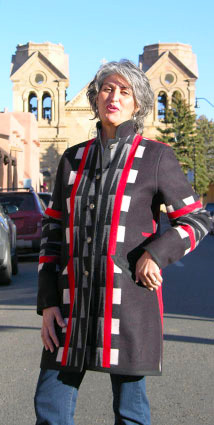 Thank you for making it such a joy to sell these jackets and deal in spectacular Native American art! 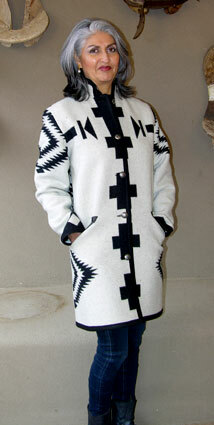 Our online store contains the best in Pendleton Blankets, Indian blanket coats and jackets for both men and women. 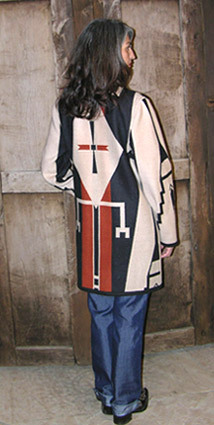 You may choose from Native American inspired clothing on our site or choose a wool Pendleton or classic trade blanket from our extensive collection and we will custom make your garment and ship it to your door. 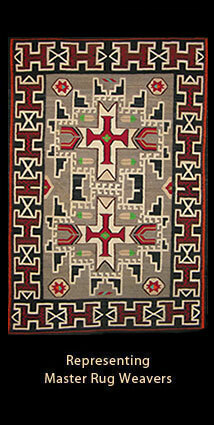 We also specialize in museum quality contemporary and antique Navajo Rugs, Southwest Baskets and Pueblo Pottery. 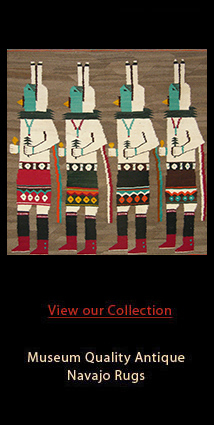 Our collection is of the finest available featuring such legendary artists as Maria Martinez, Margaret Tafoya, Daisy Taugelchee, Clara Sherman, Robert Tenorio, Marie Chino, Salina Dale, Bessie Manygoats, Bear Clan and many more. 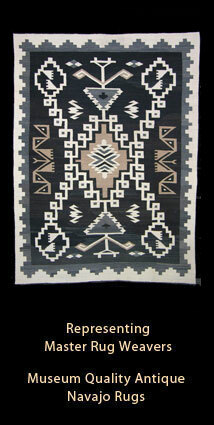 Purchase fine works from the Master Weavers of Navajo Rugs. Please return often to see our most recent additions. 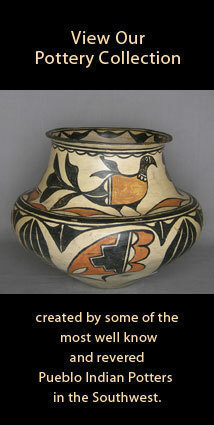 It is and honor to present such remarkable Native artistry! 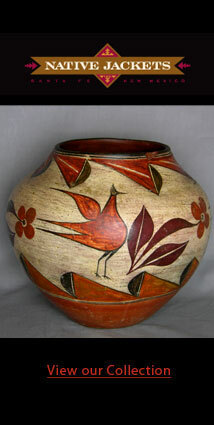 In the spirit of the traditional trading post, we buy, trade, appraise and accept consignments of fine Indian Art. Please contact us with questions, requests and for further information.